Papercrafts by Patti: ONLINE EXTRAVGANZA BEGINS TODAY!! It's here! The Stampin’ Up! On-Line Extravaganza Sale kicks off with big discounts today and continues through November 26th with two 24-hour flash sales on 11/20 and 11/27. In addition, Stampin’ Up! is offering a 24 hour flash sale on TODAY ONLY with savings of 20% on select stamp sets. (There will be a second 24-hr flash on Monday, November 27th). Have your order ready to enter as there are quantities are limited at the sale prices! 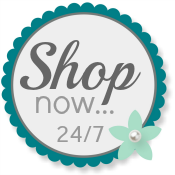 Use my Online Store to order any time!